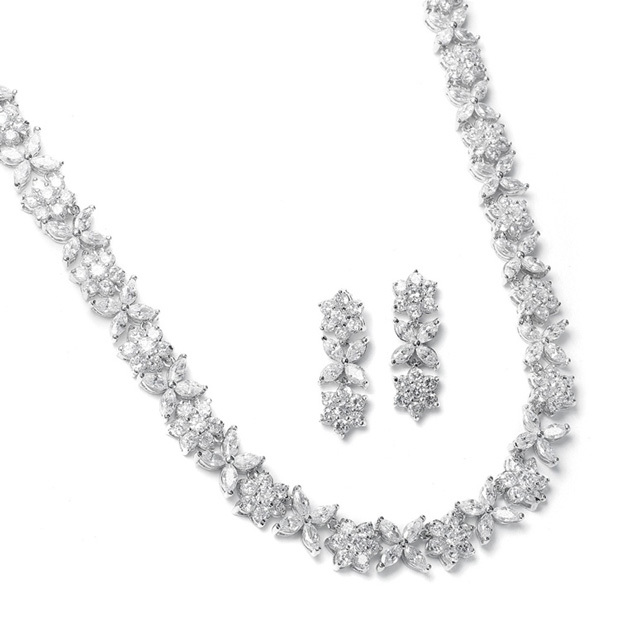 * Mariell's stunning wholesale bridal necklace set features distinctive marquis CZ flowers. 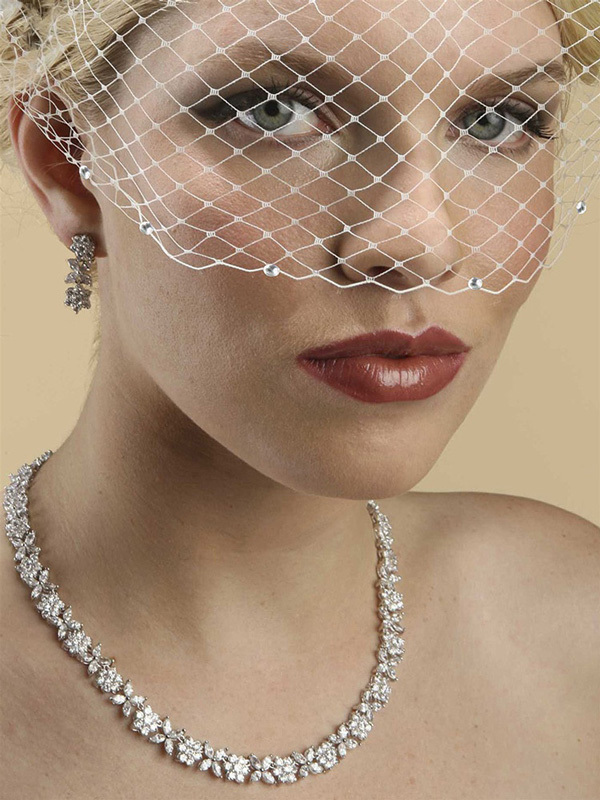 * This gorgeous 17" necklace has the safety clasp used in fine jewelry for the look of platinum and diamonds. * The beautiful matching earrings are 1" high.